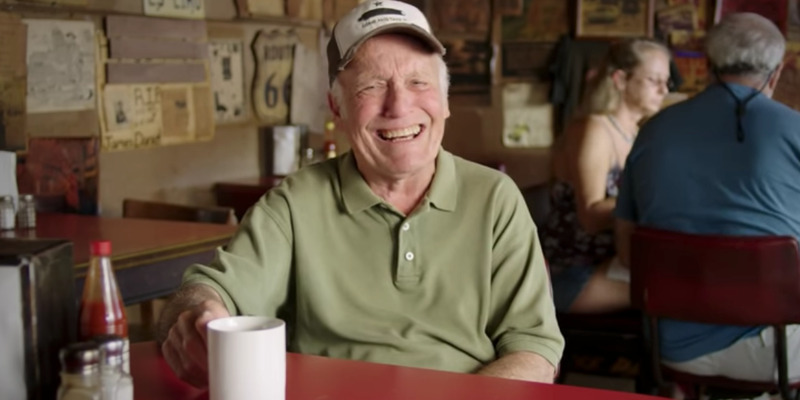 Fire Ted Cruz/YouTubeActor Sonny Carl appears in a political advertisement. 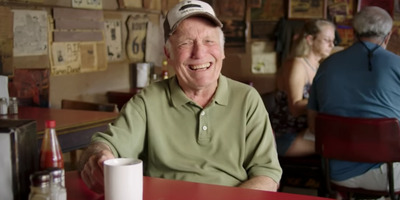 In the ad, actor Sonny Carl Davis sits in a diner and recounts past examples of how Cruz lacked the gumption to forcefully stand up to President Donald Trump’s attacks. Trump has endorsed Cruz ahead of the November midterm election. The incumbent is in a tight race with Democratic candidate Rep. Beto O’Rourke. Cruz and Trump lobbed bitter epithets at each other during the contentious 2016 Republican presidential primaries. At one point, Trump made the uncorroborated claim that Ted Cruz’s father, Rafael Cruz, was associated with Lee Harvey Oswald, the man accused of assassinating President John F. Kennedy. Two months later, Cruz endorsed Trump, citing his “support the Republican nominee” and the “wholly unacceptable” outcome of a potential Hillary Clinton presidency. Trump has since endorsed Cruz’s campaign and agreed to headline a rally in October: “I’m picking the biggest stadium in Texas we can find,” Trump said in a tweet in August.